The Harbor Beach Lighthouse is a "sparkplug lighthouse" located at the end of the north breakwall entrance to the harbor of refuge on Lake Huron. The breakwall and light were created by the United States Army Corps of Engineers to protect the harbor of Harbor Beach, Michigan, which at the time was the largest man-made freshwater harbor in the world. 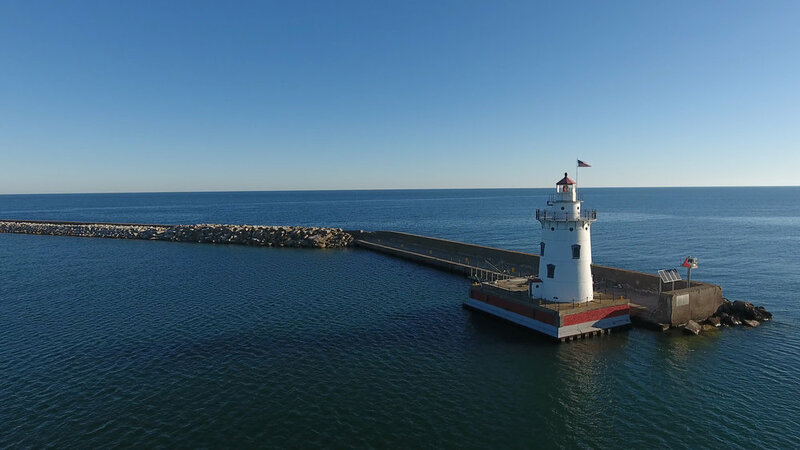 The City of Harbor Beach is now the owner of the Harbor Beach Lighthouse. Ceremonies to transfer ownership of the historic structure took place in Traverse City on June 16, 2010. A local ceremony took place July 31, 2010. The Harbor Beach Lighthouse Preservation Society (HBLPS) was formed in 1984 and restoration is ongoing. The lighthouse has been waterproofed, ventilated, and its floors, interior walls, and windows restored to original appearance.